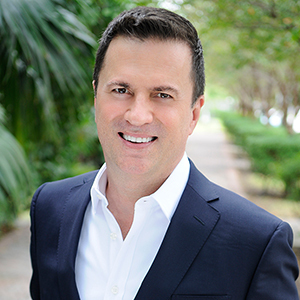 Jose Luis Pere joined Compass with a career of over fifteen years of real estate service to global clients in the most desirable markets of Miami-Dade County. Jose Luis’ record is due to his commitment to his clients. He is singularly attentive to the specific needs of each individual client assuring them precise attention to detail and responsible, informed communication. It follows that his business is built largely on referrals from prior sales. Originally from Ecuador, Jose Luis has lived in Miami for over 30 years. He is familiar with every neighborhood in the community. He specializes in Brickell and downtown Miami, Coral Gables, Coconut Grove, and Miami Beach. Additionally, he is happy to work with clients throughout all of South Florida. Jose Luis has an undergraduate degree from Georgia Tech in Industrial Engineering and an MBA from Emory University. He has also earned designations from The Institute for Luxury Home Marketing and The Council of Residential Specialists. Outside of real estate, his interests extend to supporting non-profit organizations that are focused on improving education, youth development, and the arts. His passions include classical music, opera, dance, and film.